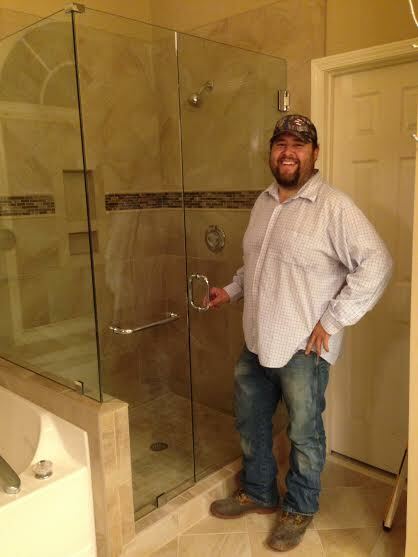 Specializing in Heavy Glass, Frameless, Seamless Shower Enclosures. I t doesn't matter what you call it - frameless, seamless, or heavy glass, this type of shower enclosure is what you need to complete your high-end bathroom remodeling project. This shower enclosure works well with all types of tile or natural stone - including ceramic or porcelain tile as well as marble, slate, travertine, or granite. We can help you from the very beginning of your bathroom remodel with a free pre-construction consultation that will assist you in creating an opening that gives you the look that you are after. Your glass can be installed with clips or channel (as shown). All hardware will match your fixtures and include finishes such as chrome, oil-rubbed bronze, brushed nickle, or antique brass. Seamless shower enclosures require no more maintenance than a traditional framed enclosure. With proper preventative maintenance and cleaning of the glass, there is no reason that your seamless heavy glass shower enclosure will not last a lifetime. We service all of West Georgia and parts of East Alabama, including: Villa Rica, Temple, Bremen, Carrollton, Bowdon, Buchanan, Douglasville, Dallas, Hiram, Winston, Waco, Tallapoosa, Roopville, Whitesburg, Franklin, Anniston, Oxford, Heflin, White Plains, Ranburne, Wedowee, and Roanoke. If you are curious about your location, just give us a call at 770-584-3432 or 678-941-3771. A framed shower enclosure is a wonderful money saving way to bring an economical update to your bathroom. These enclosures work well with tiles that have a lot of irregularities, walls that are a bit out of square, or to retain more steam in a full steam enclosure. These are also perfect for pre-fabricated fiberglass shower stalls. 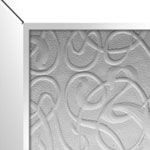 These enclosures can be customized with both metal hardware frame finishes and different textures of glass. Clear glass is perfect for showcasing a beautiful tile job, while a patterned obscure enclosure works well to hide shampoo bottles and general bath paraphenalia. Call today and receive your free quote! We custom cut and install mirrors for your Bathroom, Exercise Room, Dance Studios, Weight Rooms, or bar areas. There is no mirror job too big or too small. Call today for a free consultation and quote. Also make sure to ask us about our options for antique mirror. Furniture is expensive. 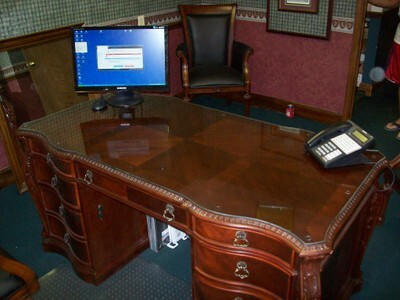 A custom made glass top can extend the life of your furniture and protect your investment. Think of the areas that take the most abuse in your home: dinning tables, bedside tables, and occassional tables - all are perfect candidates for a protective glass top. We can cut tabletops of any shape. Call today to discuss the options that are available. Stop your furniture's aging process today! Please make sure to visit our Window Repair gallery to see examples of what type of work we can do, or give us a call for a free estimate. We repair single and double paned windows in houses, mobile homes, modular homes, manufactured homes, RVs, or businesses. We service Villa Rica, Dallas, Douglasville, Hiram, Temple, Waco, Tallapoosa, Bremen, Winston, and surrounding areas of West Georgia. Give us a call today for a free quote or to schedule repair. We are open Monday through Friday, but offer limited Saturday and Sunday service.